It is no secret that there are a variety of fantastic dining locations all around Walt Disney World! 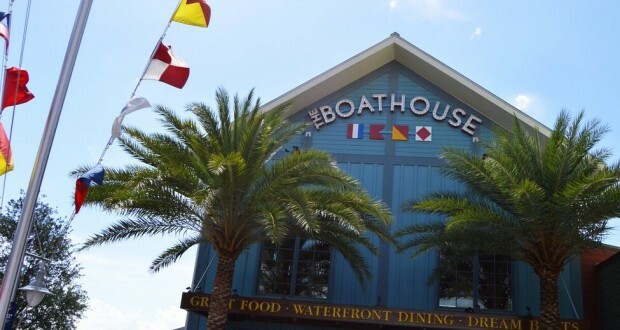 The BOATHOUSE, located within the Disney Springs area of Walt Disney World, is definitely one of those locations. We are very excited to learn that The BOATHOUSE has made one of OpenTable’s top 100 lists. The restaurant has been added to the top 100 Best Al Fresco Restaurants in America this year. The list for the 100 Best Al Fresco Restaurants in America list is created by comparing more than 12 million OpenTable reviews from various diners from over 27,000 different restaurants that are located in all 50 of the states. Reviews from May 1, 2017 through April 30, 2018 are considered. Restaurants had to meet a minimum required overall store in order to be considered for the lists. They also had to have at least a certain number of reviews completed for the location, too. We aren’t surprised to find The BOATHOUSE on this list since the food and atmosphere are amazing. We definitely recommend that you make advanced dining reservations for your visit, which you can do directly from Disney’s website or on OpenTable’s website. Who else out there loves dining at The BOATHOUSE?